DUBLIN, IRELAND--(Marketwired - February 22, 2016) - Research and Markets announced the addition of the "Global Cloud Infrastructure Market, By [ Equipment, Services, Deployment Model, Verticals, Regions ] -- Trends & Forecast -- 2015-2020" report to their offering. 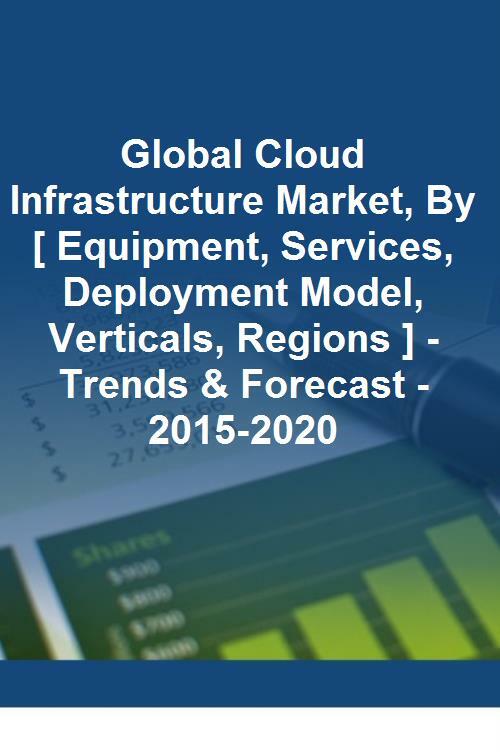 The market estimates for global cloud infrastructure market for 2015 is $109.00 billion. The estimated market for 2020 is $206.93 billion, driven by all segments of the industry. The high growth has come mainly from manufacturing and banking & financial services industries. Managed hosting services are expected to grow rapidly in the next five years with the expected compound annual growth rate (CARG) of 16.2% by 2020. The report provides an in-depth analysis of the global cloud infrastructure market along with drivers and restraints as well as growth opportunities and best practices in the market. It also contains analysis and forecasted revenues, competitive landscape, company profiles and industry trends. 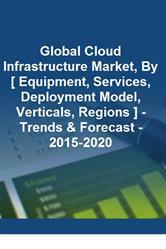 The main objective of this study is to understand the global cloud infrastructure market. The focus is on different cloud systems and applications available in the market with a special focus on equipment, services, deployment and vertical market. The report presents the industry structure of the cloud infrastructure penetration across the various industry sectors. For more information, visit http://www.researchandmarkets.com/research/d2s2sp/global_cloud.